Danny and Carletta Burrows currently own and operate the ranch. James & Peggy Howard, Carletta's parents, lived on the ranch for years and assisted in oversight and supported the Burrows in too many ways to list. Peggy went to be with the Lord in October 2011. James followed her to heaven in February 2013. They were valuable assets to this family operation and are sorely missed. We have numerous products FOR SALE . 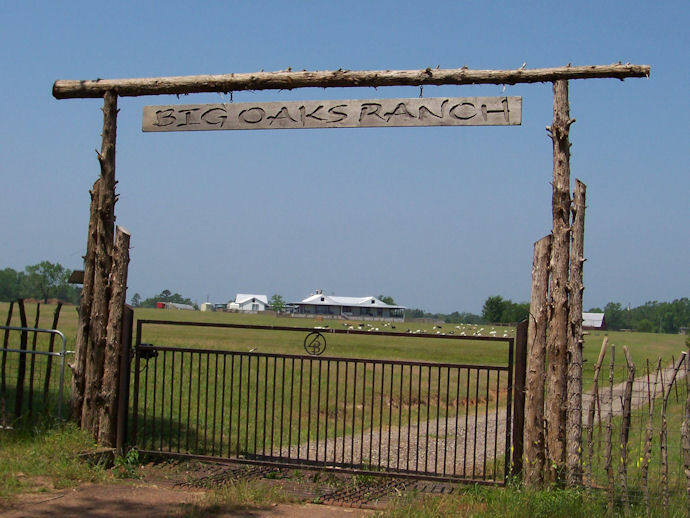 Click on the tabs at the top or go to CRAIGSLIST.ORG and search "Big Oaks Ranch"
ORGANIC information -- We have gone to strictly organic, non-soy, supplemental feed for all animals on Big Oaks Ranch. Remember our cattle and goats eat only grass and leaves, no supplemental feed. Only horses and chickens are fed supplemental, certified ORGANIC, non-soy feeds. Apostasy in the Land-- outlook 2017? ?